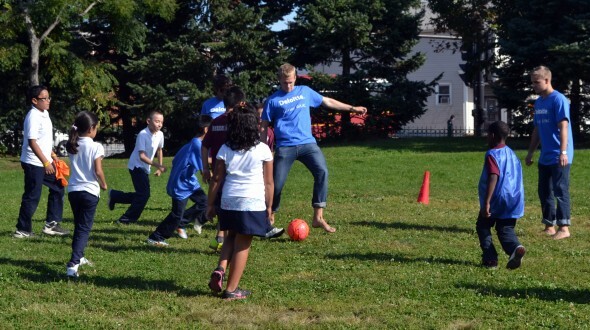 On Friday, September 26, seventeen volunteers from Deloitte left the office for an afternoon and brought their skills to the classrooms and soccer field at Walsh Elementary. 1 or more hours of physical activity a day! As soon as the volunteers arrived, the third graders let out cheers of excitement. Both groups introduced themselves, and after a short overview of the afternoon’s activity, each volunteer broke off to work with a small group of kids. The volunteers and kids started by brainstorming about their favorite fruits and vegetables – apples, bananas, grapes, carrots, lettuce, broccoli (sorry, cauliflower) – and good ways to limit screen time – reading a book, playing games with siblings, drawing pictures, etc. Then they grabbed pens and huge sheets of paper and created their own 5-4-3-2-1-Go! posters to hang around the school. 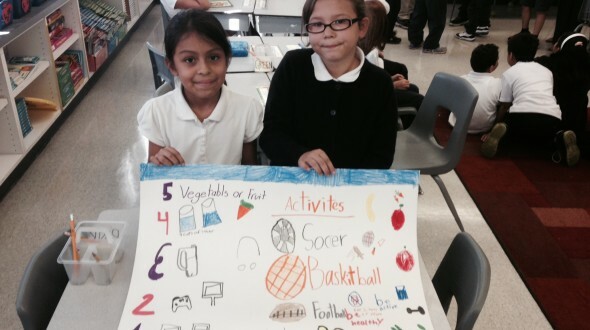 With ten minutes to go before the end of class, each group presented their poster and talked about how they planned to stay healthy all year long! After class, team Deloitte laced up their soccer boots and joined Walsh’s Work to Play team for warm-ups in the gym. Coach Fronczak introduced the volunteers, and Lexi, a two-time volunteer from Deloitte, gave the players a run-down on what Deloitte actually does. From there, the kids split into small teams for a round-robin scrimmage. Their passing was crisp, their shots were on target, and their sportsmanship was on point all afternoon. 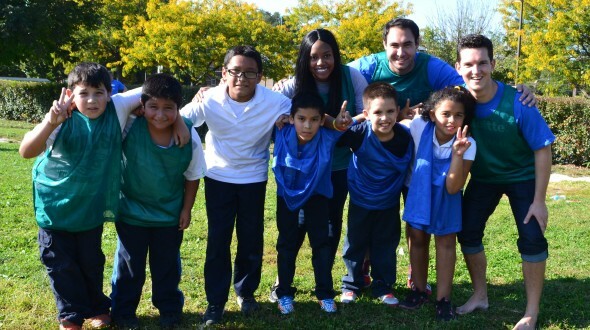 Not wanting to miss out on any of the fun, some of the volunteers kicked off their shoes and ran up and down the field, passing and playing defense with the fourth graders. 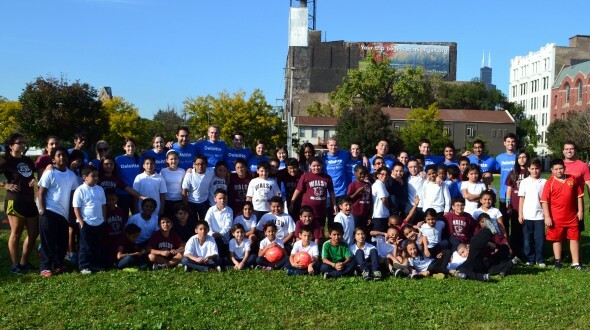 The afternoon ended with a healthy snack and a team picture, and the two teams said their goodbyes. 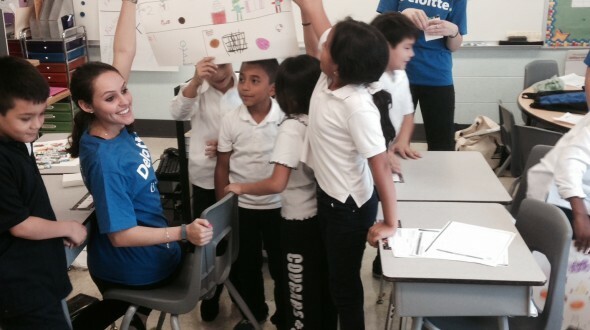 Thanks to all the volunteers from Deloitte and Lexi Zarecky for helping organize a great event. And a special thank you to classrooms 204, 206, and 212 for hosting us, Mr. Ryczek and Mr. Alstadt for helping us coordinate, and Coach Fronczak for running an awesome game day.